Why Imitating Your Friend's Financial Plan Is a Bad Idea! Your neighbor Mr. Sharma just invested in mutual fund A, insurance B, or an apartment in locality Y. Your financial blood pressure immediately goes up! You don't want to be left behind in the investment race, do you? So you too run around making blind investments, with absolutely no financial plan. Smart, isn't it? No, not at all! Within a couple of years, you realize that the investment you made was of no use to you. What went wrong here? Every one of us has different life goals, life situations, and responsibilities. With so many variations between even close friends when it comes to goals and aspirations, how does it make any sense to follow anyone else's financial plans? What you need is your own customized financial plan based on your current responsibilities and life situations, as well as your goals and ambitions. Here are 6 smart steps you can take to create and implement a brilliant financial plan. 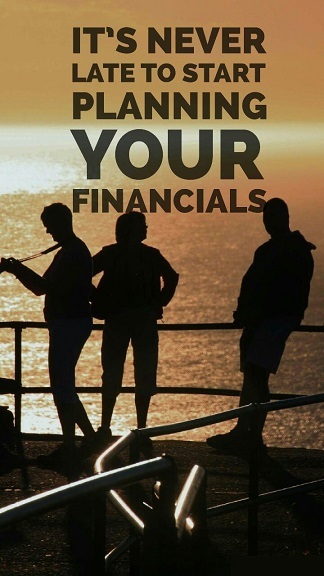 As a first step, you will first need to analyze your current financial situation. Divide your monetary condition in terms of four buckets of information: your overall income, expenditure, savings, and investments. Also take a step back to assess the various responsibilities you have: any loans to repay, children's education, health-related expenses, elderly care, and other such responsibilities. Determine the percentage of the money you can realistically set aside every month for your short- and long-term savings and investments. Your life goals are closely related to your financial goals: building a home, traveling to foreign destinations, your child's bright future, or an independent retired life. List down all the short- and long-term goals realistically and categorize them as responsibilities or ambitions. These goals could be buying assets; securing insurance plans specific to your life goals, retirement plans, education funds, healthcare plans, short-term savings for easy access in case of an emergency, elder care, and other investments that not just protect your earnings but also help you multiply your money. Financial planning can be quite an exhausting exercise if you are not familiar with the pros and cons of each investment option or financial product. You might also miss out on the extensive options you have in securing and growing your money since you are not really aware of the financial landscape in India. You will hence require the support of an expert financial advisor or investment advisor who can help you understand your current financial situation, visualize your financial goals, and map the gap with the right savings, investments, and other financial products. Now that you have a strong professional support to help you understand what you want from your money, where you currently stand, and the financial gap you will need to fill, you will now need to select the right savings and investment options. Your financial advisor will help you take this decision based on your current life situation, your potential to improve your financial situation, your current and future responsibilities, your ability to manage and overcome risks, and other such contributing factors. Your advisor will then provide you advice on the right combination of short- and long-term investments and savings for every responsibility, wishes, budgeting, tax management, and income management. While your energy levels are usually quite high in the initial stages of implementation, you might soon lose focus or your life goals might suddenly change. Hence, make sure that you revisit your financial plans to be sure that you are still on track and that the goals still make sense to you. For this step too, you can easily take the support of an expert financial advisor. When you opt for a buffet of investment plans it might not suit your specific needs. A well-designed customized investment plan will make you realize your responsibilities towards planning, your confidence will increase due to personal interest and you will eventually land with good lifestyle till the very end.